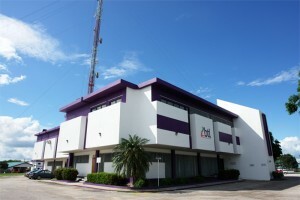 The arbitration settlement between the Government of Belize (GOB) and the Ashcroft Alliance over Belize Telemedia Limited (BTL) is causing drastic issues on the country’s financial sector. In order for GOB to continue making payments for the settlement of the arbitration award for the nationalization of BTL, the country must borrow money from international agencies to further complete with this obligation, which can lead to an additional debt of $150 million. According to Joseph Waight, Financial Secretary in the Ministry of Finance, the borrowing of more funds will have a significant impact on Belize’s actual debt status. “Borrowing more increases your debt and debt service. If you have to borrow $150 million at 3% interest, you are looking at $4.5 million more in debt service, and once payments are delayed that amount adds up quickly,” said Waight. Such loan payments will likely come from the banks and the public, and he stated that the need to borrow more money is nothing new, as GOB was committed to this course and are optimistic that they would find ways of repaying the money over time. The other issue with the payment settlement on BTL is that GOB and Ashcroft Group cannot agree whether the payments, which amount to a total of half a billion, should be paid in US or Belize dollars. At a court hearing on Tuesday, September, 20th, the Caribbean Court of Justice (CCJ), gave both parties until Thursday, September 29th to work out a payment scheme on their own. Denys Barrow, attorney for GOB, defended Belize’s position in regards to the special agreement. “We have our position, which is the Accommodation Agreement which should be for the benefit of the people of Belize. However, Ashcroft group’s side is that the Accommodation Agreement value, which should be for the benefit of the country’s citizen, be reduced,” said Barrow. Attorney for the Ashcroft Alliance Eamon Courtenay explained that the reason they are in court is that despite signing the Settlement Agreement, which stipulated that GOB would pay 50% of the arbitration award in US dollars, Belize instead began making payment in a mixture of US and Belize dollars. “The government cannot bind itself to an agreement to pay US dollars, and when the time comes simply say ‘We are going to pay other debts’,” said Courtenay. In response, Barrow stated that at the time of signing, GOB did so, on the premise that it would have enough US currency after making the first payment. According to him, this was made in order to ensure that it could make the second payment, which would include a portion to be paid in Belize dollars for the benefit of the Belizean people. “If it was a case where there was an abundance of US dollars in the system then it wouldn’t matter to the government,” Barrow said. “There is no benefit for the government to not pay in US dollars. The only reason for not paying in US dollars would be because of the crunch that it would cause upon the domestic banking system.” One of the main comments from the court was that the Settlement Agreement was badly crafted in the first place and equated the Government as a tenant who is unable to make the rent payment at the end of the month. The CCJ had given Belize and the Ashcroft Group until Thursday, September 29th to come up with a payment agreement, but, because this never happened, the court went ahead and delivered its ruling. The call was against GOB who was ordered to make payments of over US$67 million. According to the CCJ’s ruling, the decision was made because the original agreement did not make clear that the Belize dollar portion of the Arbitration Award was to be granted to and for the people of Belize. Immediately after the court’s decision, GOB, expressed its disappointment on its interpretation of the BTL Settlement Agreement. Although Belize does not agree with the ruling, it must accept it. A very important observation pointed out in the ruling is the fact that the overall quantum of the Arbitration Award has not been increased. However, the Government now has to pay 10% more of that award in US dollars. This brings the payment to 50% rather than 40% of the total award. As a gesture of relief, the CCJ said that is prepared to give Belize time to pay on an instalment basis. GOB is now determining, together with the Central Bank, the best case scenario to avoid any withdrawal of too large amounts from the Central Bank Foreign Reserves. This plan will be put before the CCJ for approval. If that is approved, the Government expects that the ruling will cause no shock to Belize’s foreign exchange position. The reality of the whole situation regarding the settlement over BTL, was predicted a couple months by Central Bank’s Governor, Glenford Ysaguirre. On July 22nd, eight days after the first payment towards the arbitration, via a letter to the Ministry of Finance, Ysaguirre reported that the Ashcroft group requirements would take the demand over $USD200 million. An unexpected increase in net outflows has caused the gross official reserves to shrink over a $100 million. The Government was warned that if these demands are addressed, as per Ashcroft Group’s request, it would immediately push the reserves to crisis levels and would be destructive for the economy of Belize.